Southwest China's Yunnan province is usually on the bucket-list for tourists visiting China. In order to attract more international attention, authorities from the province recently hosted a promotional event in Beijing. And of course, the diversified cuisine of Yunnan was a major hightlight. 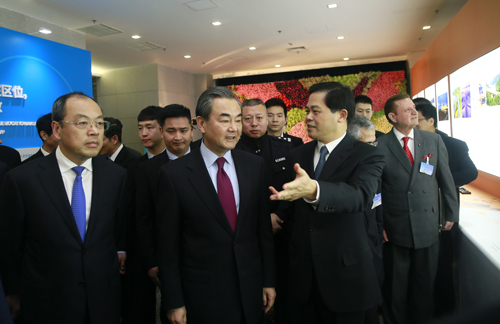 The event attracted a number of foreign diplomats, whose presence is expected to broaden Yunnan's popularity. And among the cultural hightlights in Yunnan is its cuisine, often referred to as Dian cuisine. Yunnan province, with its mild climate and abundant rainfall, is home to a large variety of plant and animal species, making the ingredients used in its cuisine very diverse. "Here we have one of our local specialities, the black truffles which are also quite popular in Europe. And there's the brie cake, which is also known as Chinese cheese," Yang Aiyun with Yunnan Provincial Association for Restaurants & Hotels, said. Yunnan cuisine also owes its style to its unique geographic location and numerous ethnic groups. The ethnic people have each added their own cooking styles to Yunnan cuisine, making it a beautiful mix of many different styles of cooking and preparation methods. The promotional event was also part of China's poverty-relief efforts, with the Foreign Ministry joining hands with underdeveloped regions to introduce investment and business opportunities from overseas.